BEIJING -- Volkswagen AG plans to sell as much as 1.5 billion yuan (164 million euros) of five-year bonds in Hong Kong as soon as today, becoming the first foreign car company to issue so-called Dim Sum bonds. VW intends to price the bonds to yield between 2 percent and 2.25 percent, Andreas Hoffbauer, a Beijing-based spokesman for Volkswagen, said Monday. Bank of China Ltd., HSBC Holdings Plc and Standard Chartered Plc are managing the sale of the senior, unsecured notes, according to a person familiar with the matter, who asked not to be identified because the details are private. Companies have sold 40.5 billion yuan of so-called Dim Sum bonds this year, according to data compiled by Bloomberg. VW has a 12.8 percent share of the passenger car market in China, according to industry analyst J.D. Power & Associates. "The demand in the Dim Sum market is still very strong," said Kristine Li, Royal Bank of Scotland Group Plc's Singapore- based chief financial strategist for Asia ex-Australia. "Volkswagen is a really good quality name. If the yield is good, it offers scarcity value." China is allowing greater use of its currency in global trade to reduce reliance on the dollar and opened the offshore yuan bond market in Hong Kong in February last year. Caterpillar Inc., the world's biggest maker of construction equipment, sold 1 billion yuan of two-year bonds in Hong Kong in November after McDonald's Corp. sold 200 million yuan of three year notes in September. BYD Co., the Chinese carmaker backed by Warren Buffett's Berkshire Hathaway Inc., sold 1 billion yuan of three-year yuan- denominated bonds at a coupon of 4.5 percent through a Hong Kong unit in April. "The Dim Sum bond market is new and because the investor base has been mainly banks and retail the maturity has been mainly two to three years," Li said. "Fund managers only recently became active in this market. For the five year you will have to get more returns on the table for investors. If they can get a decent yield, there should be good demand." 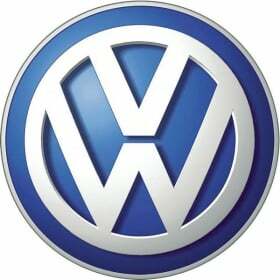 Volkswagen started its first joint venture in the country in 1984, according to its Web site. The bonds, guaranteed by the automaker, are being sold by Volkswagen International Finance NV, Hoffbauer said.